Civil engineers are responsible for the planning, design, construction and development of building and infrastructure projects, the management and distribution of water resources, the optimisation of traffic and transport services and the creation of sustainable and energy-efficient cities and communities in a rapidly developing global environment. Civil engineers can specialise in any of the many diverse aspects of the profession – project management, construction, transportation, urban engineering, water management, structural engineering and material technology. They tend to work into teams, with other professionals such as environmental planners, architects, town planners and community development practitioners. They work in varied settings – on construction sites, in design consultancies, government departments and state agencies. The Department's undergraduate and postgraduate programmes meet the best university standards in the world and are offered by highly qualified and experienced academic and support staff. The department prides itself on consistently achieving the highest quality ranking for research and teaching of any civil engineering department on the African continent. A four-year Bachelor of Science degree in Civil Engineering, comprising up-to-date courses in all the traditional branches, such as Structures, Steel and Concrete Materials, Geotechnics, Hydraulics, Water Supply, Wastewater Treatment and Transportation. The programme is accredited by the Engineering Council of South Africa (ECSA) and recognised throughout the world in terms of the Washington Accord. 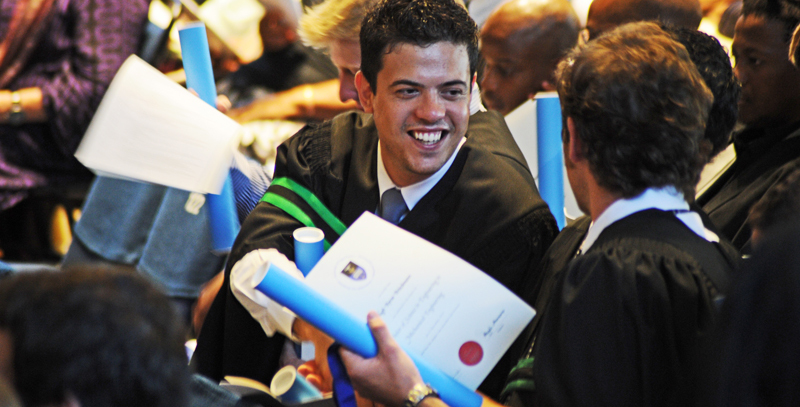 Postgraduate degrees including PGDip, MSc(Eng), MPhil, MEng and PhD. Masters programmes include Structural Engineering and Materials, Urban Infrastructure Design and Management, Transportation, Water Quality Engineering, Civil Infrastructure Management, and Geotechnical Engineering. Supervised research studies leading to Masters and Doctoral degrees. Postgraduate teaching and research is conducted within the framework of well-established research groups in the areas of Structural Engineering and Mechanics, Geotechnical Engineering, Concrete Materials and Technology, Hydraulic Engineering, Water Quality and Water Engineering, Urban Engineering and Management, Transport Studies and GIS. 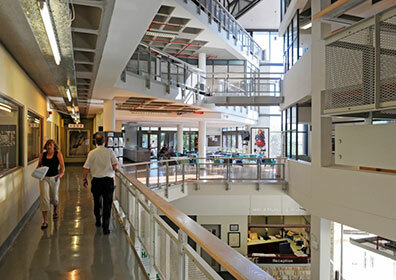 Members of staff also interact with research groups in other departments, such as the Centre for Research in Computational and Applied Mechanics (CERECAM). The Department has fruitful collaborative links with several local and overseas universities, and with local industry. Much of the work done by members of staff finds application in industry. The high quality of the research undertaken is evidenced by the considerable number of peer-reviewed publications in ISI-accredited international journals produced by members of staff annually, and the international recognition that members of staff enjoy in their areas of research. 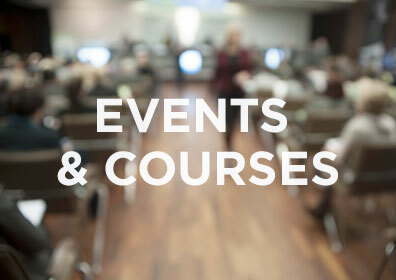 Members actively participate on the committees of local professional bodies, provide expert advice to industry, and serve on the editorial and advisory boards of various international journals and conferences.